It’s been 16 years since everyone’s favorite fast-talking, coffee-loving mother-daughter duo weaved their way into our hearts and minds. Gilmore Girls went off the air in 2007, but has lived on in reruns, gathering a new generation of admirers while maintaining its cult-like following of longtime fans. Later this year, the girls are coming back in the much-anticipated Netflix revival of the series. And Gilmore gurus, including myself, couldn’t be happier. 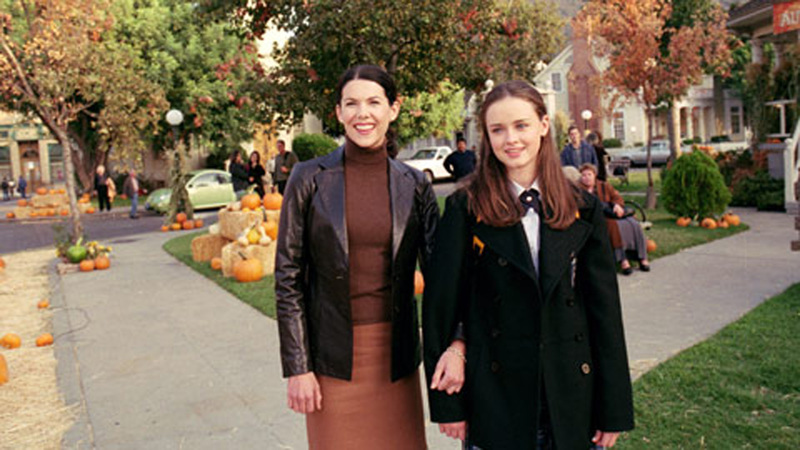 So why can’t we all get enough of Gilmore Girls? 1. Whip-smart writing and rapid-fire dialogue that’s as exhilarating as a caffeine buzz. 2. Brilliant quips and pop culture references. The girls possess a worldly knowledge of movies, music, TV, literature, politics and history. It’s fun just trying to keep up with them. 3. It’s anchored around three generations of strong, intelligent women. Need I say more? 4. The girls have beauty and brains, but their brains always take center stage. 5. A well-rounded cast, complete with dynamic, developed characters. 6. Stars Hollow is a town dreams are made of — full of idyllic charm, it’s as picturesque as a painting. It even has its own troubadour.